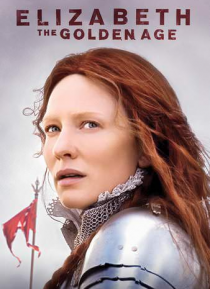 Queen Elizabeth I (Cate Blanchett) faces threats to her rule from abroad and at home. Determined to restore England to Roman Catholicism, Spain's King Philip II dispatches his armada. Sworn to her country body and soul, Elizabeth must resist her love for charismatic seafarer Sir Walter Raleigh (Clive Owen) and watch as he and her handmaiden grow closer. Finally, trusted adviser Walsingham (Geoffre… y Rush) uncovers a plot involving her cousin Mary Stuart.